DeepTalks – The Detox for your Mind (A Complete Collection of 32 Episodes in 45 DVDs) is a series of psychological talks and discussions in Hindi by Mr. Deep Trivedi on subjects such as Mind, Human Brain, Time, Space, Nature, so on and so forth. These discussions intend to bring about a transformation in the psychology of human beings and guide them onto the path of Joy and Success. 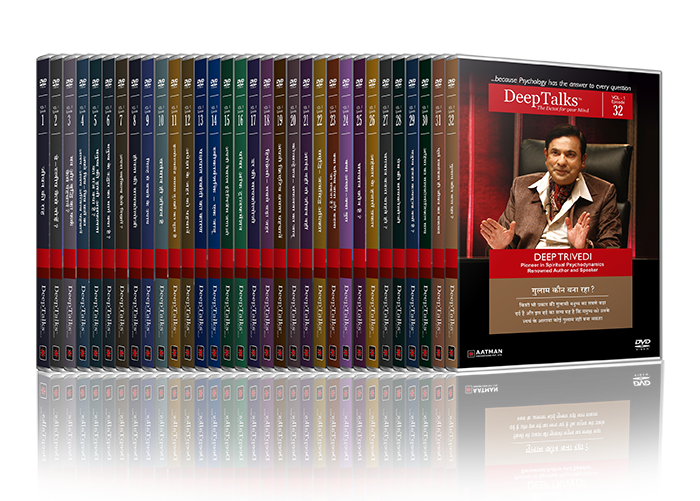 All DeepTalks sessions are available in high quality Digital Video formats.